One Committee, Four Parties: What Funding Option Will They Support? The Education and Skills Committee will choose an option from the Cassells report. With a cross-party membership, who is supporting what? The unenviable decision over which option to choose from the Cassells report falls to the cross-party Committee for Education and Skills. These options – the abolition of the student contribution and the creation of predominantly state-funded system, the continuation of the current student contribution charge coupled with increased state investment, and the introduction of an income-contingent loan system – will be debated, discussed and ultimately determined by the committee over the coming months. While this might help fulfil the Minister for Education and Skills, Richard Bruton’s, aim for a “a grown up debate”, it also handily shields Fine Gael from any political fallout from the ultimate decision of which recommendation to choose. The committee, which is chaired by Fianna Fáil’s Fiona O’Loughlin, will now have the responsibility of listening to the evidence for and against choosing an income-contingent loan scheme over a public-funded model, and deciding which one to go for. One member of the working group has already called on the committee to make a choice from the options presented. There is to be no “diluting” of the recommendations to support a compromise between the parties. So who are these committee members responsible for determining the future of our higher education system, and which model will they be supporting? Best known as the former Tánaiste, Burton made some big promises ahead of the last election, mostly in an attempt to woo younger voters back to a party many had disregarded. These included a reduction in the student contribution charge by €500 and a massive increase in funding for the sector. Then-Minister for Education and Skills, Jan O’Sullivan, also pledged not to introduce a loan scheme if Labour was returned to government. In an email statement to The University Times , Burton questioned the impact the publication of the report would have, adding that she feared “the outcome will be to postpone critical decisions with regard to higher education”. Burton was also highly critical of the income-contingent loan proposal: “It would be unfair to add further pressure to young people starting out on their career, and this is precisely the impact that a student loan scheme would have”. It would, she added, “impact low and middle income families disproportionately, while having virtually no impact on participation rates among the better off”. This is strong rhetoric from Burton. Labour is hardly a bastion of credibility when it comes to higher education funding however — we all remember that pledge from former Minister for Education Ruairi Quinn when he promised to oppose any increase in the student contribution charge ahead of the 2011 election, only to reverse this once in government. It’s difficult to see how Labour could side with a loan scheme and retain any credibility or legitimacy in the eyes of voters. Out of principle or political expediency, Burton will probably side with a publicly-funded model. Being chair of the committee, much of the responsibility for the decision on the best funding model for higher education will fall to her and to her party. Before the election, her party promised to freeze fees at the current level for the next five years. Writing in The University Times her party leader, Michéal Martin, criticised the rise in the level of student contribution, arguing that it has “left students genuinely struggling with the cost of tuition, on top of maintenance”. The position of Fianna Fáil is unclear however. According to the Independent.ie , the party is now open to considering an income-contingent loan scheme following the publication of the Cassells report yesterday. Fianna Fáil promised before the election to increase funding to universities and institutes of technology by €100 million, as well as establishing a new five-year cycle of the Programme for Research in Third-Level Institution at a cost of €296 million. 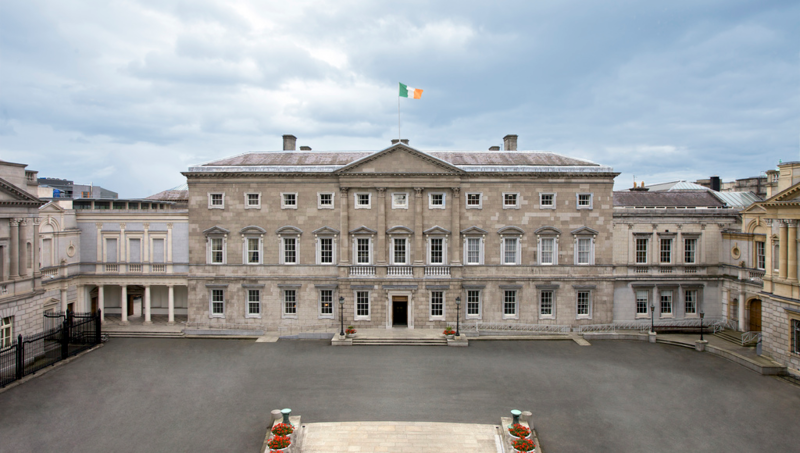 Considering a system that maintains the status quo, according to the Cassells report, would cost an additional €1 billion a year by 2030, the party’s long-term plan to fund the sector is unclear. Before the election Martin said that the state could not afford to remove the student contribution entirely. To suddenly remove such funding would create “a hollowed-out education sector”, according to Martin. Last October, Ógra Fianna Fáil produced their own proposal for an income-contingent loan scheme where all students would pay €5,000 per year of college, rather than the current €3,000. The detailed proposal also proposed repayments starting at €30,000 a year earned before tax, with a minimum repayment rate of 2.75 per cent. Ógra suggested that this would create an extra €300 million a year for universities. With the proposal rejected by the main party ahead of the election, it could suggest little appetite for any kind of loan scheme within the party. It will be up to O’Loughlin to choose between loans or a state-funded model. Both, it would seem, would be a departure from the parties pre-election promises. The party’s education spokesperson, Byrne, will work closely with O’Laughlin to determine Fianna Fáil’s position on the Cassells report recommendations. In a press statement yesterday, Byrne said: “This report makes it clear that there is a funding crisis across our third level institutions.”. According to Byrne, Fianna Fáil will not bridge the gap in funding by raising student fees. Instead, he believes that “much greater exchequer support is required”. The party has not ruled out supporting an income-contingent loan scheme, but has described the costs of such a scheme as “uncertain”. He also warned that “while students are paying much higher fees under a new loan system, the government is also worse off than under the previous system of direct exchequer support”. The strong rhetoric from Fianna Fáil must be seen as a positive for those groups opposing loan schemes. It remains to be seen if the party will commit to a predominantly state-funded system that might cost an additional €1.3 billion per year by 2030, according to the Cassells report. Fine Gael have not made any promises on how they would fund higher education. Instead, they said they would wait for the Cassells report, making them the only party not to make any promise on a higher education funding model ahead of the election. Now it has been published, it remains to be seen what stance the party will take. At the Trinity College Dublin Students’ Union (TCDSU) Party Debate in November, Cannon, the former Minister for Training and Skills, emphasised the party’s commitment to the results of the Cassells report, adding that he was hoping for “some realistic, tangible options that are based on a forensic examination of the sector”. It will be interesting to see if his party considers the recommendations as realistic or tangible when it reaches the Education and Skills Committee. Despite being out of the country on Monday, hopefully Cannon will return with a decision made on which funding model his party can support. Daly, who also notes on his website that he is a member of the Cork County Vocational Educational Committee, will no doubt be working closely with Cannon to put forward Fine Gael’s favoured model for higher education funding. Writing in The University Times ahead of the election, the Taoiseach, Enda Kenny, told us that “Fine Gael wants every student to graduate and get a good job at home in Ireland”. He also wrote that “Fine Gael is committed to addressing the funding gap for the higher education sector”, but did not suggest any sustainable funding solution for higher education. At the time of writing, the Fine Gael Minister for Education and Skills, Richard Bruton, has not yet made any comment on his preferred funding option. While this might place the party in a strong position politically as the Cassells report goes to the committee, the uncertainty it produces is less than helpful for the higher education sector. It is now clear that Fine Gael pre-election commitment to guarantee the €100 million the sector will need over the next five years will not be enough, and that a long-term policy will have to be committed to by the party. The Dublin Rathdown TD, first elected in February, will likely welcome the report’s recommendation of the creation of a predominantly state-funded system. Writing in The University Times ahead of the election, the Leader of the Green Party, Eamon Ryan, argued that increased investment in higher education “should come from the taxation system rather than from increased student fees or from long-term student loans”. Specifically, the party proposed that an increase in corporation tax could provide the requisite funding to support higher education. These are arguments shared with the student and trade union groups that have already spoken of their opposition to loan schemes. Speaking to The University Times yesterday, President of the Union of Students in Ireland, Annie Hoey, called for a “state-backed education that is funded by the exchequer, through the employer, through progressive taxation”. Similarly, the General Secretary of the Irish Federation of University Teachers, Mike Jennings, speaking to The University Times , argued that “there is scope for more finance to come by way of taxation from the business sector”. Carol Nolan is firmly behind the idea of a publicly-funded model for higher education. Explaining her party’s higher education policy to The University Times yesterday, Nolan said: “We need to look at a process of tax reforms that would allow for a significant increase in public expenditure, including the replacement of student fees with public funding”. Pointing to families that are struggling to “send their children to college”, Nolan argued that it is up to a responsible government to create a “more equitable” education system. Nolan also said that the introduction of an income-contingent loan scheme “would not address the immediate shortfall and would take a number of years to implement”. Like the Greens, it is likely that Sinn Féin will act as a significant ally on the committee to those who oppose income-contingent loans.